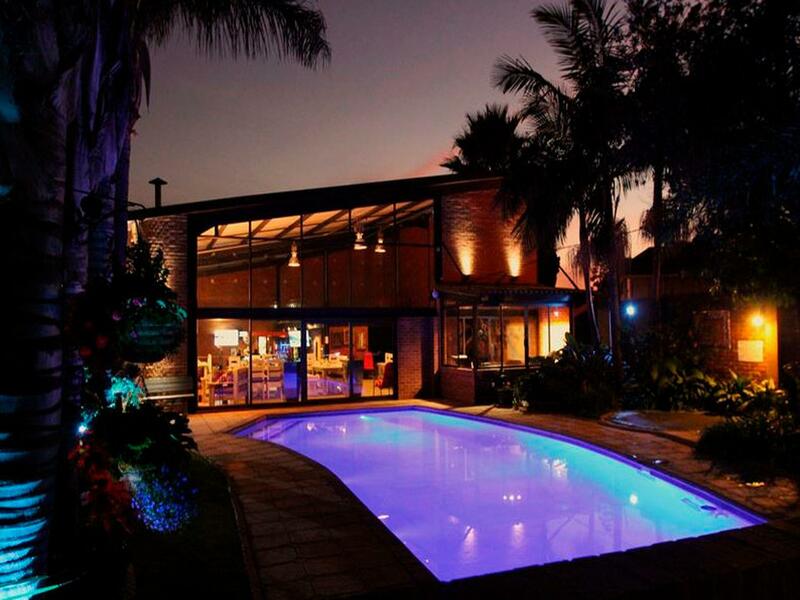 ﻿ Sunrock Guesthouse Johannesburg. JIMAT di Agoda.com! Bagi para pelawat yang ingin menikmati sepenuhnya pengalaman di Johannesburg, Sunrock Guesthouse merupakan pilihan tepat. Hotel ini terletak 3.0 km dari pusat bandar dan menyediakan akses kepada kemudahan bandar yang penting. Untuk pilihan bersiar-siar dan tempat daya tarikan tempatan, pelancong tidak perlu pergi jauh dari hotel kerana ianya berdekatan dengan Protop Womens Clinic, Muzium Kebebasan Madiba, Lapangan Terbang Antarabangsa OR Tambo. Menawarkan tetamu hotel perkhidmatan yang unggul dan pelbagai kemudahan, Sunrock Guesthouse komited untuk memastikan penginapan anda berada di tahap seberapa selesa yang mungkin. Wi-Fi percuma semua bilik, daftar masuk/daftar keluar ekspres, simpanan bagasi, Wi-Fi di tempat awam, tempat letak kereta merupakan beberapa kemudahan yang membezakan Sunrock Guesthouse daripada hotel-hotel lain di bandar. Semua penginapan bagi tetamu menawarkan kemudahan yang difikirkan dengan teliti bagi memastikan rasa selesa yang sukar ditandingi. Hotel ini menawarkan pelbagai kemudahan rekreasi yang sangat baik, termasuk kolam renang terbuka, meja biliard, taman. Sunrock Guesthouse adalah destinasi sehenti anda bagi penginapan hotel berkualiti di Johannesburg. Free airport transfers each way worked great, property had a nice activities room with free pool table and fireplaces to sit by. Freezing when we were there and rooms were quite cold, but otherwise great. Staff accommodating as they could be about late check-out. Ended up getting a nice massage for an hour (actually only 55 minutes in reality) for ~30usd too. 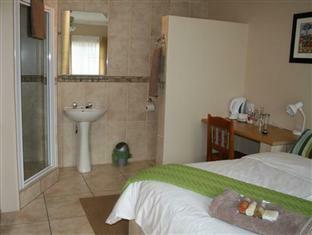 Room was spacious with decent bathroom, separate bath plus shower. However was quite old and there was maintenance needed - handle missing from robe door, which also was patchy and needed repainting. Had a reasonable gym. Friendly staff, and reasonable food. Very friendly staff, excellent shuttle service, very convenient location by the airport and more. Nice bar. Good food. Not too expensive. Staff very helpful and nice. Facilities well equiped. Close to the airport. Not too much I can say to fault this place. The neighbourhood feels a little dodgy but they have everything you need so take a tour from the hotel and in the evening snd afternoon enjoy the really nice pool and bar. Staff and facilities great, Wi-fi not very good in room was better the second time I stayed as near reception area. When asked about Wi-fi they said they are in the moment of upgrading so should be better. Good set dinner of an evening. Near airport Would stay again. Rooms must have a phone so guests can easily contact reception. And a tissue box would come in very handy. However, Sunrock’s offers currency exchange, that too without charging commission, which is a huge plus. If you need to be near the airport this is perfect. Not the most luxurious, but wonderful accommodating staff. Let them know your flight and they will pick you up from the airport. The razor wire surrounding the property and security gate indicate that it is not an area for strolling. But the property itself was safe and had a friendly accommodating staff. 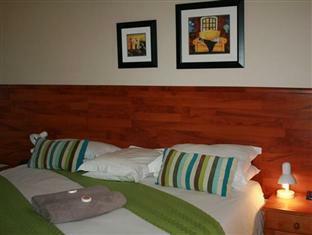 Perfect if you are there for a short stay or in between flights and need a close place to chill or to set out from. If you are staying multiple days you might want to be in an area closer to shopping, sights, etc. where you are freer to walk outside of the property. Tours, excursions, and sights can be booked through the front desk and a driver will pick you up. Nice place. 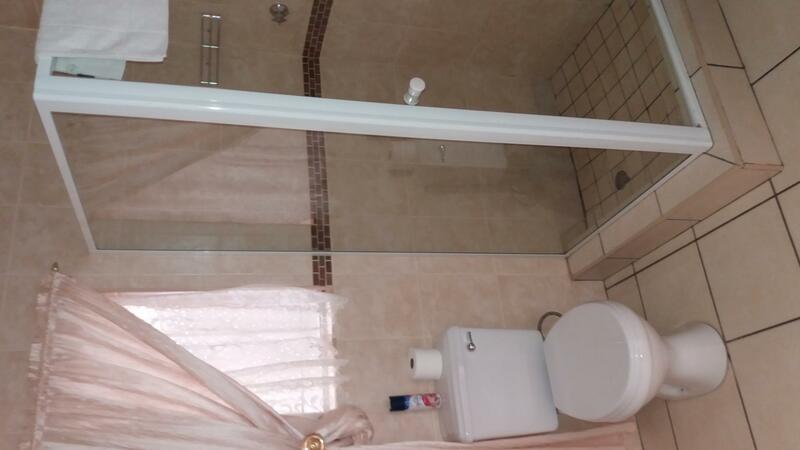 Same as before: very comfy bed; spacious room and ensuite, very good food; great hosts and very helpful staff; effective transport to and from OR Tambo airport; super location and great value for money. I'll be back for my seventh visit next year. My sixth time at Sunrock and that says it all. 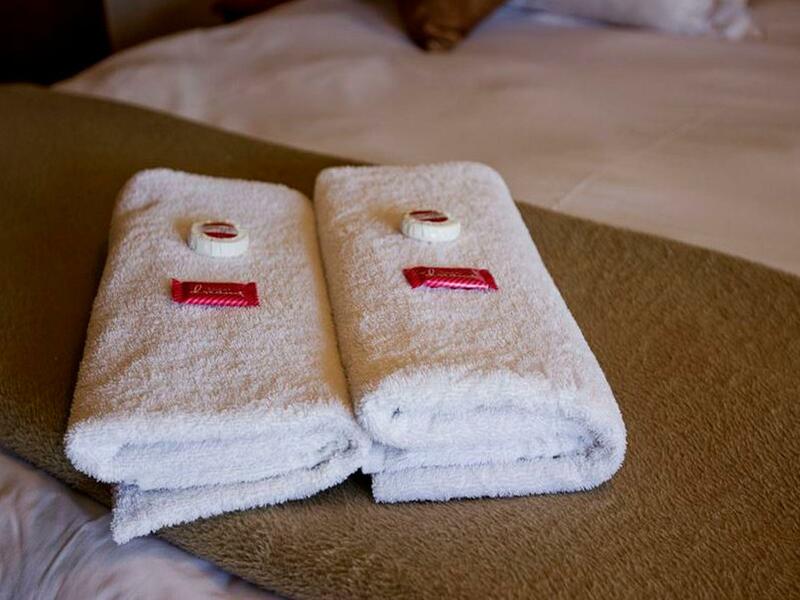 Great value; great hosts and excellent helpful staff; excellent service; very good food; pickup and delivery to OR Tambo efficient; super comfortable bed and spacious room and ensuite. I'll be back next year. Staff couldn't have been more helpful, and it's just 5 minutes from the airport. Perfect! Even better than my two previous visits - getting classier. I will return as there is no reason for me to change. Really enjoyed our stay! We were staying at Sunrock between flights. The guesthouse is close to the airport and the airport transfer and driver were exceptional. The hotel staff is very polite and the facilities clean. We LOVED this place!!! The atmosphere, rooms, amenities, activities, and breakfast were all outstanding!! The hosts are very accommodating and helpful and create a family and community atmosphere. Not only is the breakfast outstanding, but family style dinner is also offered for a very reasonable charge. The pool and rec room with bar are open and available all day. There are desktop computers, a ping pong table, two large flat-screen TV's, and a workout center in the activity building, with is decorated with wildlife trophies. The whole compound is walled and well-secured. The hosts, Ina and Arthur, also made sure guests were driven with complimentary service safely from the compound to and from the airport and also to the light rail whenever needed. This was a great place to be picked up by Nhongo Safari Company for a safari in Kruger National Park. We LOVED this place!!! The atmosphere, rooms, amenities, activities, and breakfast were all outstanding!! The hosts are very accommodating and helpful and create a family and community atmosphere. Not only is the breakfast outstanding, but family style dinner is also offered for a very reasonable charge. The pool and rec room with bar are open and available all day. There are desktop computers, a ping pong table, two large flat-screen TV's, and a workout center in the activity building, with is decorated with wildlife trophies. The whole compound is walled and well-secured. The only thing missing was air conditioning in the rooms. The hosts, Ina and Arthur, also made sure guests were driven with complimentary service safely from the compound to and from the airport and also to the light rail whenever needed. This was a great place to be picked up by Nhongo Safari Company for a safari in Kruger National Park. I've rarely encounter a hotel that I use for a layover stay that I would consider one of the best hotels of a trip but, then I stayed at the Sunrock. From the 10 minute drive from the airport to a hotel that offers first class amenities at a super reasonable rate, this is a place I will strongly recommend and use myself for future stays. One thing that stood out that I must mention is the food. The chef prepared a world class meal the 2 separate 1-night stays I was there which were the best meals on my trip. Disappointing as compared to reviews. Rooms are small, no A/C, grounds are tiny, most rooms appear to have zero view of a garden. Avoid room 6, down a tight dark alley with entrance through glass sliding door but so tight that my suitcase had to be lifted over one of the twin beds to get it in the room. I was advised that there were no other rooms available but when I asked the manager, she did find one that was lighter, brighter and more accessible, even if it only looked onto a little patch of grass and a wooden stick fence. Food at dinner was ordinary and only fruit at breakfast was canned peaches. Location is good for being close to the airport. The hotel was near the airport, nice and cosy. It is also near to a shopping mall. However, the shower was bad, both the shower was not working well and one was even totally broken. Food was reasonable and we had braai (South Africa for BBQ)for dinner but was not very good.